This pipe wrench is 36" long when open, with a weight of 20lbs. It works with up to 5" diameter pipes, and is good for gripping them. Do not use a hammer or pound on equipment. 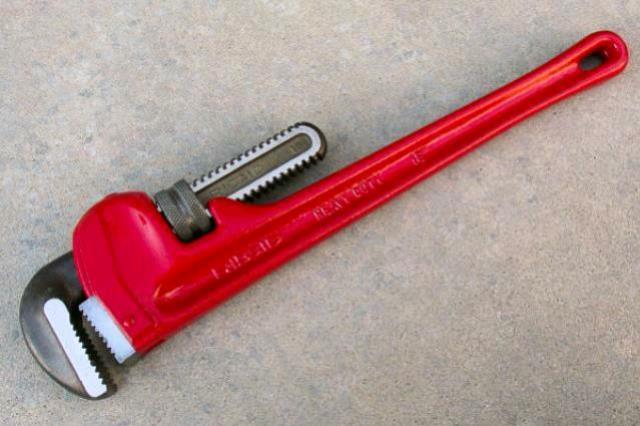 If not used correctly, wrench may slip and cause injury.